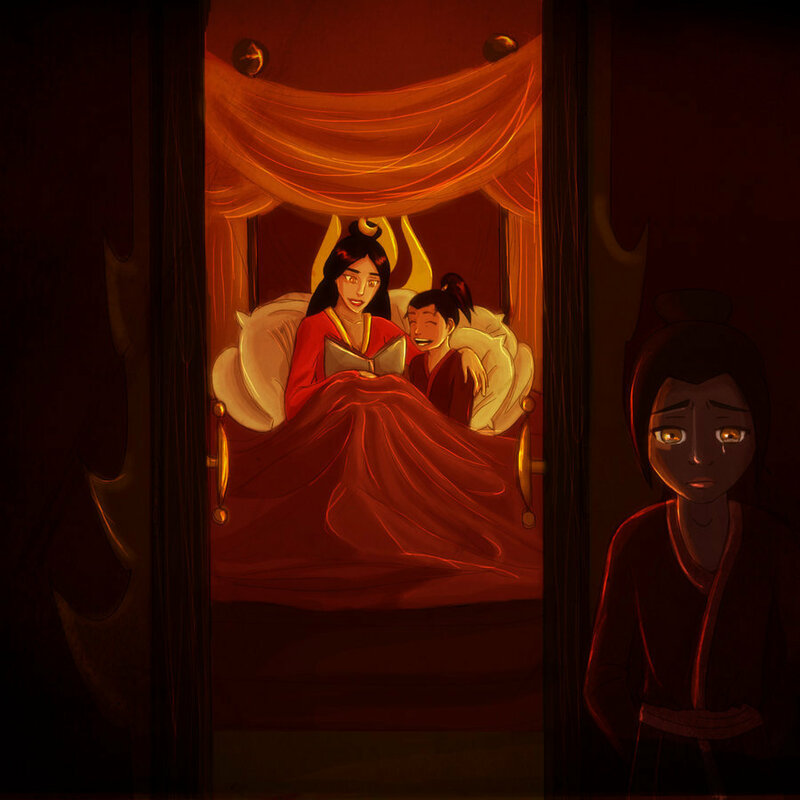 Azula's Tragic Life. . HD Wallpaper and background images in the Avatar - La leggenda di Aang club. once again really sad, heres azula outside while zuko gets a bed time story from ursa. if she asked ozai for one he'd just drag her off to bed. Whatever, Azula is a monster and deserves it. shes not really a monster, well she wasnt but after being completly neglected by her mom her daddy took the oppertunity to raise her as a mini ozai. and no small child really deserves to be alone in the dark like that, thats exsactly why she became so evil. I do she is not a monster she was bought up in the wrong environment. Ohh ... never even thought about it ... This picture is very sad ... As much as a tear in your eye is booming.